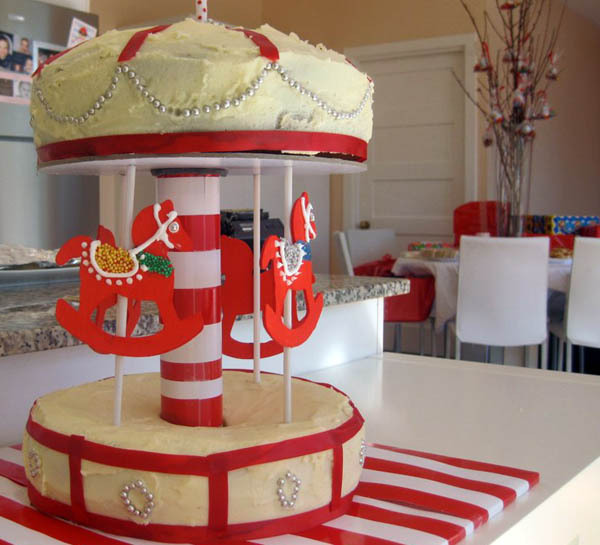 This sweet-as-can-be carousel party has us all in a spin. Take one birthday boy, add one mumma with a superb eye for detail and you get a delightful first birthday that’s certainly worthy of such a special milestone. 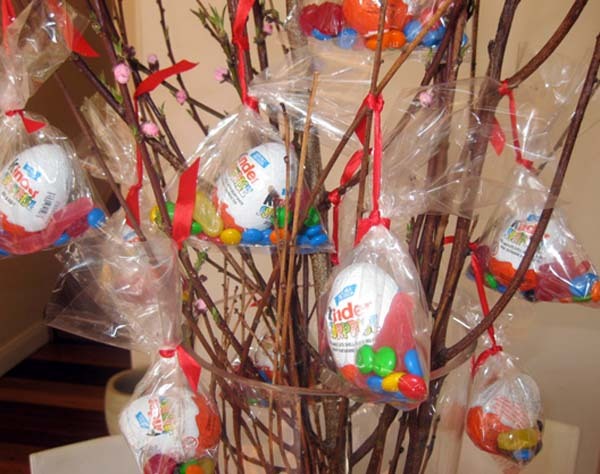 Sydney mum Georgie put together this party for her youngest son, Jimmy. Like all good ideas, inspiration struck while she was lying in bed one night trying to fall asleep. 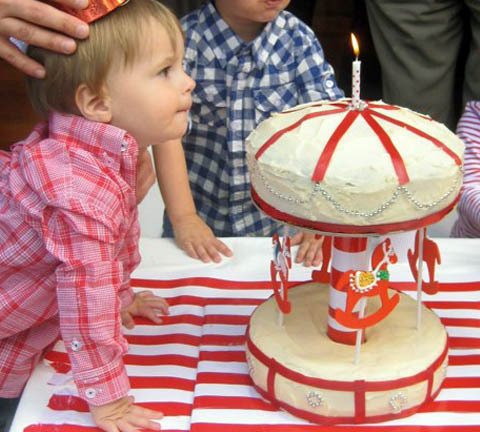 She decided – in her sleepy haze – that a carousel cake would be easy enough to make and would have just the required amount of first birthday zing. Well, she tells us, she got the bit about the zing right! We think the cake looks pretty good too. We love the simple red and white colour scheme that Georgie used in her cake and then carried through to the rest of the party, including the perky tableware sourced from specialist children’s party boutique Love to Celebrate. 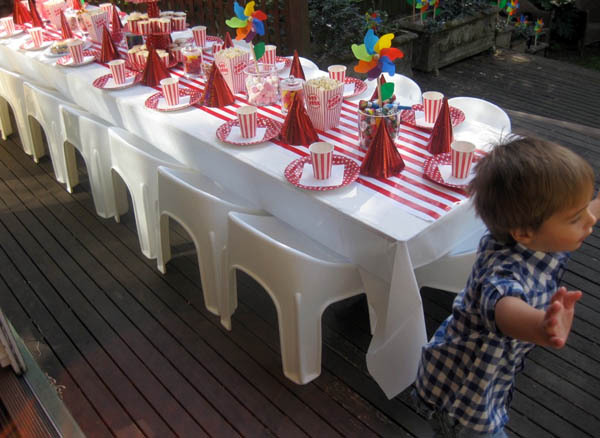 Here’s a clever idea you’re going to love – Georgie used striped wrapping paper as the runner on the party table. 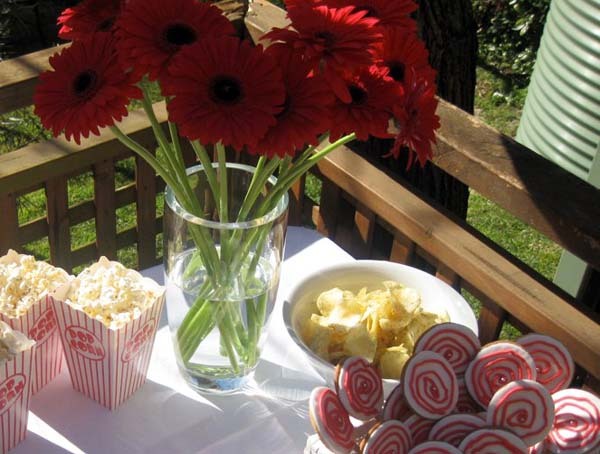 Georgie served up popcorn, mini hotdogs, three kinds of quiche, simple Vegemite sandwiches, old-fashioned lollies and strawberries to her little guests but we especially loved her home-made carnival cookies. We think the wibbly-wobbly icing just adds to the charm! 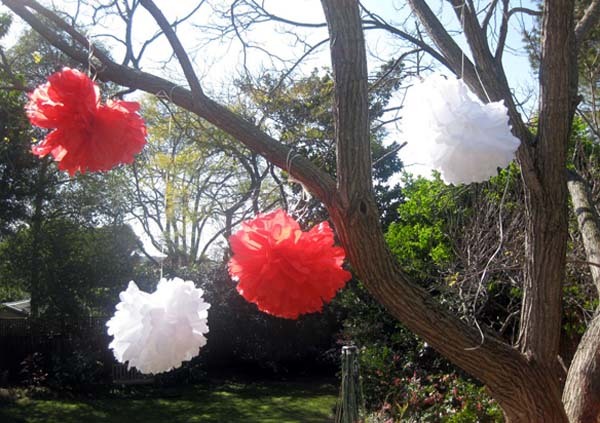 Pom-poms to match the colour scheme decorated the garden outside but our favourite decoration was Georgie’s favour tree – what a dramatic way to display the party favours to be handed to the guests at the end of the celebrations. Here’s Jimmy getting ready to blow out the candle on his made-with-love birthday cake. Adorable!